So you’re taking off on a big trip? Good for you. 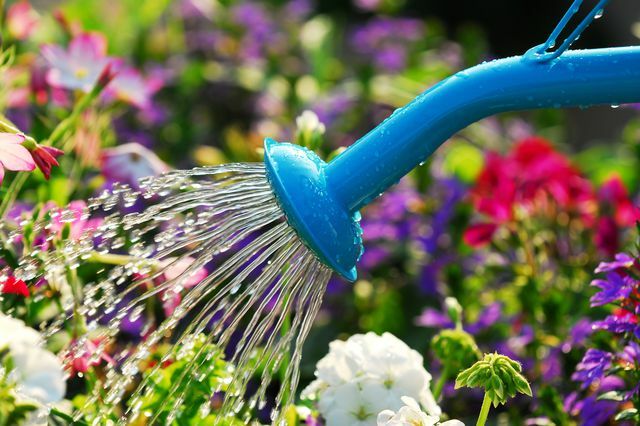 Studies have shown that vacations are good for your health, but now you have to figure out what to do about watering your beloved plants. The good news is that it’s perfectly fine to leave plants on their own while you’re away. It just takes a little planning and forethought. Well-watered houseplants will last for days, even a week, on their own. If you’re heading out for a short time, give them a final drink just before you leave and move them out of sunny windows or hot rooms. Outdoor potted plants will dry out faster, so give them a soaking before moving them into a cool garage or laundry room to slow down their water use. Set a container of water next to the plant; a single container can serve multiple pots if it’s large enough. Place one end of the wick into the water, making sure it reaches the bottom of the container so your plant won’t be left high and dry as it drinks, and poke the other end about three inches deep into the plant’s moist soil. As the soil dries out, water will travel up the wick to replenish the moisture. If you have just a few outdoor containers, you may want to opt for Plant Nanny Wine Bottle Stakes. Simply screw a wine bottle filled with water to the stake, then insert the stake into your potted plant. The water will release slowly and steadily while you’re away. Depending on the plant and its water needs, you may want to use two per plant. These systems are very simple to put together and require no special tools (other than a punch that will come along with the kit), and you can arrange them to fit your garden’s layout or containers’ needs. A basic drip irrigation system will set you back about $100, but it will last for years. You can even redesign it as your plants change.